It is a well publicized battle in Germany – for the last years youtube (a daughter of google) is randomly blocking music videos in Germany with a banner that explains that this video cannot be streamed due to legal difficulties with the GEMA (the German royalty society for composers, publishers and lyricists). Basically this is about licensing – contrary to other royalty societies the GEMA has not accepted youtube’s licensing deal offer and demands a higher fee for streaming videos with music content of copyright holders represented by the GEMA. Since this negotiations have not been succesful so far the GEMA has legally objected to the use of only a handful of videos. This in turn led to youtube using a random banning program that constantly blocks videos regardless of content (even videos without any music) referring the internet users to the legal battle with the GEMA. This has created an incredible amount of unjust negative publicity for the GEMA – even though it is their legal right to demand and negotiate a higher licensing fee now they are depicted as evil blockers and censors of video content. Even though the GEMA constantly tries to remind the public that it is not blocking the videos in question and neither has the right or will to do so the image damage has been immense. But now the whole development has taken a shocking new turn. As this Czech website reports google is planning to completely acquire the GEMA. This would be the first time in history that an independent performing rights society is bought by an international company. What are the implications? For google the effort of buying the GEMA can be considered as easy pickings compared to the sums they have recently paid for the acquisition of companies. But with controlling the GEMA they can easily solve the licensing conflict by simply granting the licensing to themselves which will obviously be for free. Not only will this save youtube (which is owned by google) millions of dollars, the steady revenue of performance royalties in Germany will create an unexpected new money source for youtube which will enable it to grow even further. What google/youtube is planning for the GEMA is as yet unclear. It is certain that there will be major changes in the distribution of royalties, probably not for the better for the individual authors. It is not yet clear if there will be a name change from GEMA to GOOMA (as the Czech article – perhaps jokingly – mentions). But there is also a slight hitch for google – to finalize the acquisition (which apparently has already been agreed to by the board of directors of the GEMA) they have to get the approval of the members themselves. 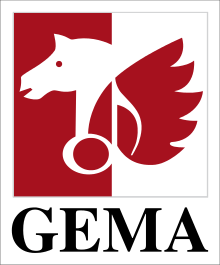 The GEMA is – after German law – an independent „Verein“ (society) that can only change directives by democratic decisions. This gives the upcoming members meeting („Generalversammlung“) of the GEMA next week a fateful aura. Google will probably offer something like a buyout offer for each individual member. THe Czech article hints at something in the dimension of 2000-3000,-EUR per composer. With this one single payment they will lose all rights for music streamed by google and its affiliates, who can then in turn start distributing it without any annoying fees to the former rights holders. Already a new music streaming service owned by google is in the works – as the GEMA back catalogue it is immense any such new service will give „spotify“ a run for its money, that’s for sure. The DKV (Deutscher Komponistenverband) has already announced that it will oppose any such plans, whereas the text authors have declared that they have no objection whatsoever against the acquisition. Whatever will happen next week – the future of copyrighted music (and especially of copyighted contemporary music) has never looked so bleak. Vorheriger Beitrag Das Verschwinden des Mediums und seine Hinterfragung.